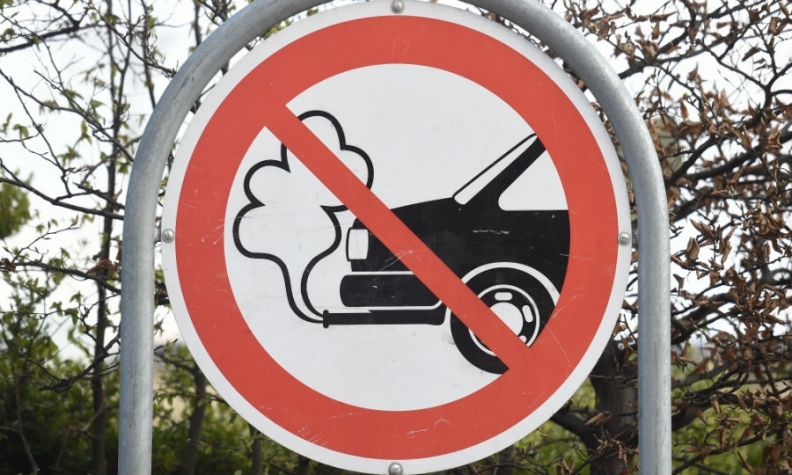 LUXEMBOURG -- Automakers criticized a proposed 35 percent CO2 emissions reduction target for new cars in the European Union, saying the goal could hit the industry's competitiveness. On Tuesday, European Union nations agreed that the bloc's fleet average CO2 emissions for new cars should be reduced by 35 percent by 2030 compared with 2021 levels. Several countries had sought a higher, 40 percent reduction in line with targets backed by EU lawmakers last week, with Ireland and the Netherlands among those voicing disappointment with Tuesday's compromise deal. Germany, with its big auto sector, warned that overly challenging targets risked harming industry and jobs. Berlin had backed an EU executive proposal for a 30 percent cut by 2030. Germany yielded after winning a separate concession: an interim review of the tougher rules. Germany, with the backing of eastern European nations, had held a blocking minority among the 28 nations against the more ambitious targets, EU sources said. But a last-minute amendment helped ease concerns among poorer member states over the new rules, which also create a crediting system encouraging automakers to raise sales of electric cars. It would allow for a different accounting in countries where the current market penetration of zero- and low-emissions vehicles is less than 60 percent below the average in the bloc. Car-industry groups in the EU criticized the ministerial agreement, saying on Wednesday that it would threaten automotive jobs and consumer choice in Europe. "Although the CO2 reduction levels agreed on by the member states yesterday are less aggressive than those voted by the European Parliament last week, they still risk having a negative impact on industry competitiveness, auto workers and consumers alike," Erik Jonnaert, head of the European automakers' lobby group ACEA, said in a statement. ACEA said the benchmark system to incentivize zero- and low-emissions vehicles proposed by the European Commission and member states, gives the right signal to industry and consumers. "However, the association remains concerned that the penalty-based system supported by Members of the European Parliament last week – combined with high sales quotas – is not in line with reality and would interfere with the principle of technology neutrality," it said. Germany’s VDA federation called the accord “more than regrettable” and said the ministers missed a chance to find a fair balance between climate goals and job security. Europe's Climate Commissioner Miguel Arias Canete said the compromise gained the support of 20 nations, with 4 voting against and 4 abstaining. The deal includes a 15 percent reduction target for cars and vans in 2025, according to Brussels-based green lobby group Transport & Environment, which called the compromise "disappointing" because it put automakers interests first despite the dire warning of the effects of "dangerous climate change." A controversial derogation of niche manufacturers making up to 300,000 cars was extended, notably benefiting Jaguar Land Rover, the group said. Torn between reducing pollution and preserving industry competitiveness, EU environment ministers meeting on Tuesday talked for more than 13 hours until nearly midnight to reach a compromise. The final rules will now be hashed out in talks beginning on Wednesday with the EU's two other lawmaking bodies: the European Parliament, which is seeking a more ambitious climate target, and the European Commission, which proposed a lower one. The EU’s current average caps on CO2 from cars are 130 grams per kilometer set for 2015 and 95 grams fixed for 2021 -- limits that, as a result of German-led pressure, are weaker than what the bloc had originally planned. In a draft law last year, the European Commission, the EU’s regulatory arm, proposed reductions of 15 percent in 2025 and 30 percent in 2030. In addition, the Brussels-based commission outlined a system of extra incentives for electric-vehicle production through credits against the stricter CO2 limits. Three key differences need to be worked out in the negotiations starting on Wednesday with the EU Parliament on a final version of legislation. In addition to the CO2 cap in 2030, these include calls by the assembly for a 20 percent cut in 2025 and for a 35 percent quota for zero- and low-emission vehicles in 2030. Curbs on the transport sector, the only industry in which emissions are still rising, aim to help the EU bloc meet its goal of reducing greenhouse gases by at least 40 percent below 1990 levels by 2030. About 15 million autos are sold each year in the EU, with cars accounting for more than a tenth of the bloc’s releases of CO2, the main greenhouse gas blamed for rising global temperatures. Electric vehicles in Europe have a market share of around 1.5 percent.